Rock icons Black Sabbath and heavy metal juggernauts Slipknot announced to the that they will be joining forces for a monumental metal festival. For over 20 years, both artists have curated their own festivals. 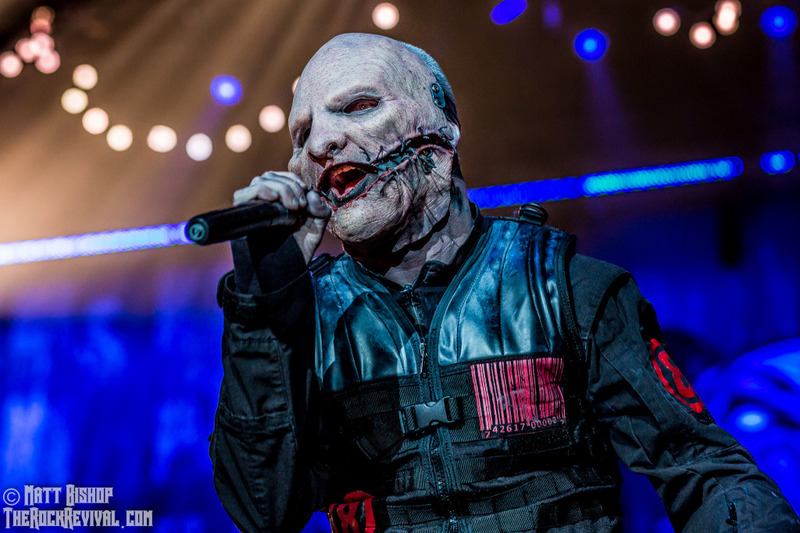 Frontman Ozzy Osbourne‘s infamous Ozzfest served as a breeding ground for nu metal bands like Slipknot. In recent years, they’ve followed the mold launching Knotfest. Now, the two festivals will join forces to celebrate Sabbath’s final North American performance in San Bernadino, CA. 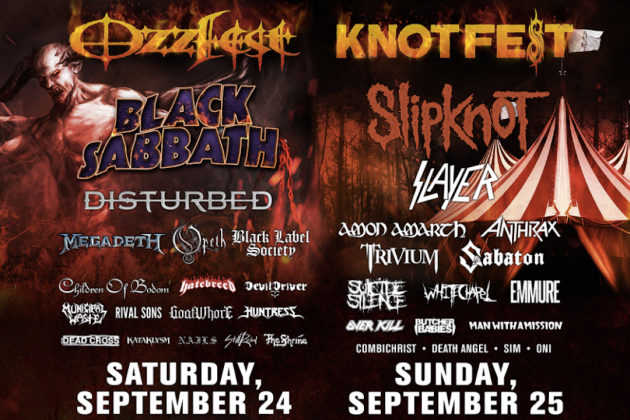 Tickets go on sale Friday, May 20 at 10am via ozzfestmeetsknotfest.com. Tagged amon amarth, Anthrax, black label society, Black Sabbath, Corey Taylor, death angel, devildriver, disturbed, goatwhore, Hatebreed, Knotfest, knotfest 2016, Nails, opeth, ozzfest, ozzfest 2016, ozzfest meets knotfest 2016, ozzfest meets knotfest lineup, Ozzy Osbourne, ozzy sharon osbourne, Rival Sons, sabatob, sharon osbourne, Slayer, Slipknot, suicide silence, Trivium, Whitechapel.